Good Food Access Program increases access to healthy, affordable food for all Minnesotans. 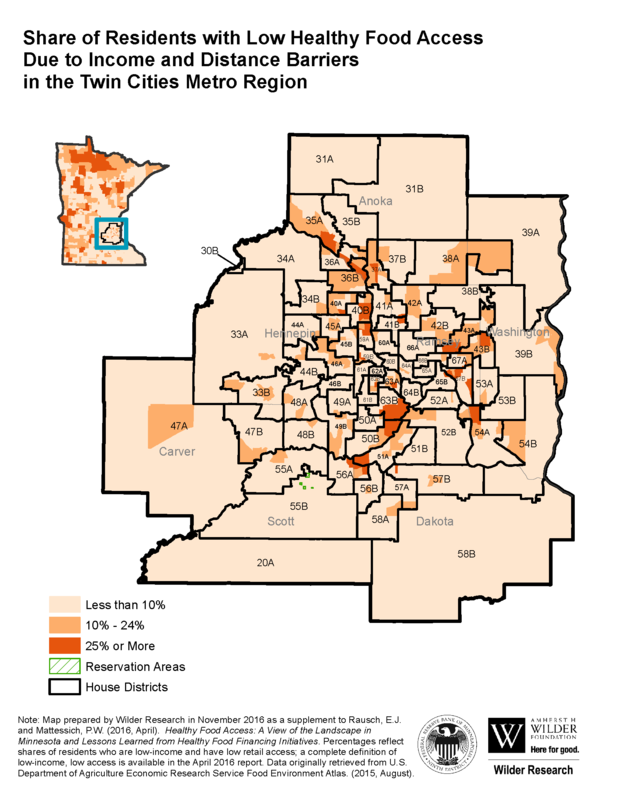 More than 340,000 Minnesotans face both distance and income as a barrier to obtaining healthy, affordable food. 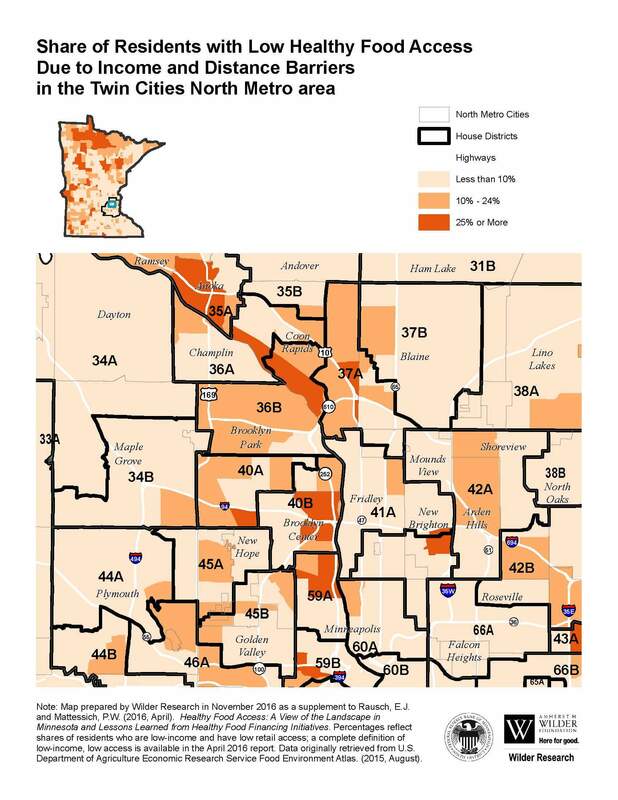 235,000 Minnesotans live more than 10 miles away from a large grocery store or supermarket. And access to good food is a growing problem. 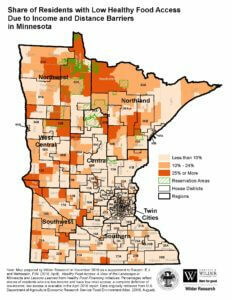 53 of 87 Minnesota counties lost grocery stores between 2007 and 2012. 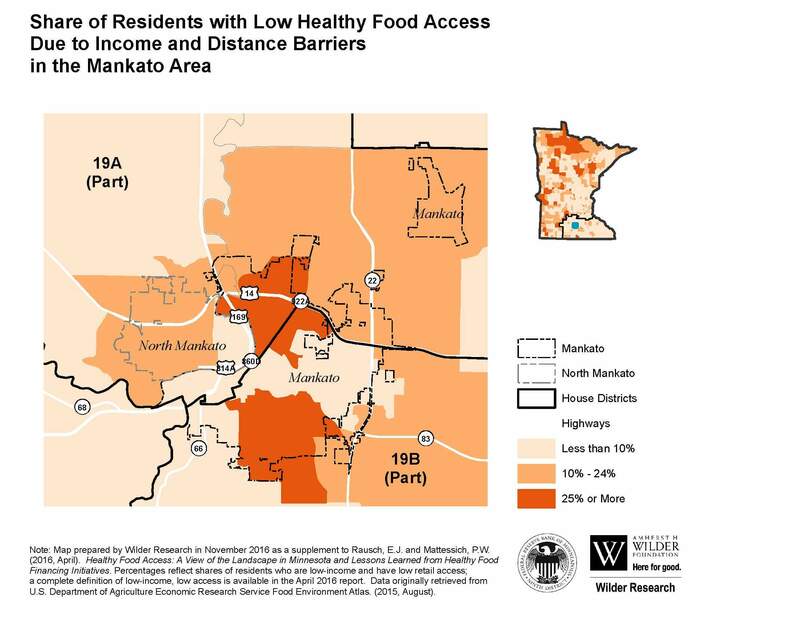 The lack of access to healthy, affordable foods impacts Minnesotans from all walks of life. Young families and seniors, urban or rural — everyone deserves access to healthy, affordable food. For Minnesotans who face income and distance barriers to food, 1 in 5 are seniors and 1 in 4 are children. The Minnesota Legislature created the Good Food Access Fund in 2016 to increase access to healthy, affordable foods. The fund provides loans, grants, and technical assistance to small grocery stores, corner markets, farmers markets and other retailers. This helps them provide healthy and affordable foods in places it is most needed. This year, we are seeking continued funding to meet the demand for the program. 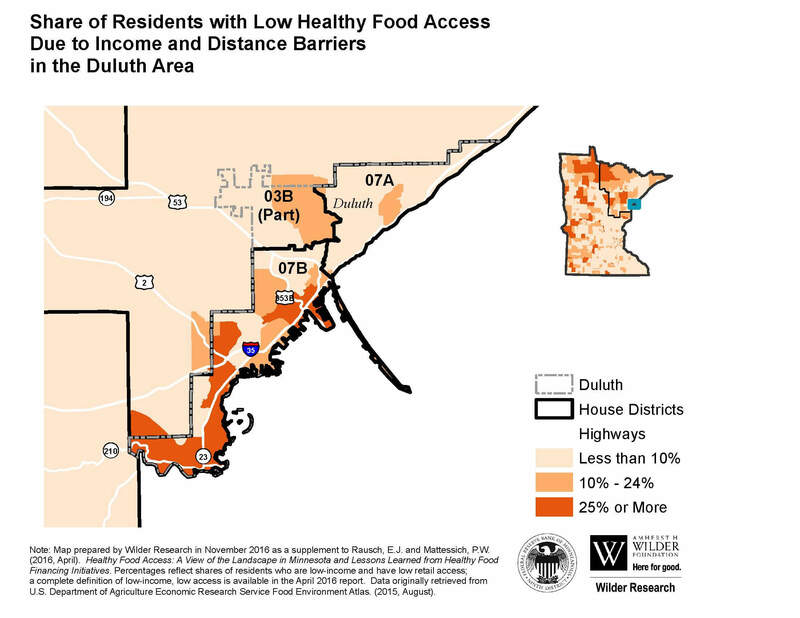 Which communities face food access challenges?